Wisconsin sponsors two 529 college savings plans, a direct-sold plan and an advisor-sold one that requires you to sign up through a financial advisor. Both offer tax advantages such as tax-exempt growth on your contributions, but Wisconsin families can deduct up to $3,200 from their state taxable income—a modest amount compared to plans in other states that offer state tax benefits. Compared to those of other states, however, Wisconsin’s 529 plans offer a high maximum contribution of $472,000. To boot, the direct-sold option has particularly low investment fees. If you’re not sure about how to go about choosing the right plan, you can find a financial advisor to help you create a personalized college savings roadmap. The Edvest 529 plan that the state of Wisconsin sponsors allows you to invest in your child’s educational future as early as possible. The plan offers portfolio options designed for everyone from new investors to people who know what they want their asset allocation to look like. Any U.S. citizen can open an account and enjoy tax benefits like tax-deferred growth on earnings, and Wisconsin tax payers in particular can deduct up to $3,200 (if married, filing jointly) and $1,600 (if filing single) from their state taxable income. How Do I Enroll in Wisconsin's 529 Plan? The easiest way to open an account with the EDVEST college savings plan is by doing so online. You can also download enrollment materials or request that an enrollment kit be sent to your address. You will need the following information for yourself and your beneficiary: names, address, Social Security numbers or Tax Identification Numbers and bank account and routing numbers if making initial contributions online. How Much Does the Wisconsin 529 Plan Cost? Like most 529 college savings plans, the Edvest plan sponsored by the state of Massachusetts charges a total annual asset-based fee depending on which portfolio you choose. The fee currently ranges from about 0.14% to 0.41%. It’s not paid directly out of pocket but rather factored out of your account balance. When you invest in the Edvest College Savings Plan, your money grows tax-deferred. This means that the money you earn in the market isn’t taxed as long as it’s invested. Withdrawals are also tax free as long as you use the funds for qualified higher education expenses such as tuition and mandatory school fees. You can use than money in conjunction with scholarships and financial aid. While anyone who opens an Edvest account can enjoy these benefits, Wisconsin residents get a bonus. Wisconsin taxpayers can deduct up to $3,200 from their state taxable income per beneficiary per year. What Are My Investment Options in Wisconsin’s 529 Plan? The Edvest plan offers a variety of investment portfolios. If you’re new to investing, you may be interested in the plan’s age-based portfolios. These automatically change their asset-allocation, or the mix of stocks, bonds and other securities, over time. When your child is young, these portfolios focus on growth by investing primarily in stock-based funds. As your child gets closer to 18, these portfolios switch to an emphasis on generally safer investment options like bond funds. If you have a clearer picture of how you want your investment mix to look like, you may be interested in multi-fund or single-fund portfolios. These portfolios invest in a variety of mutual funds, and each has a specific objective. But if your risk tolerance is low or you’ve already been saving for a while, you may be attracted to the stable principal investment option. This portfolio aims to protect your earnings in light of potential market downturns. 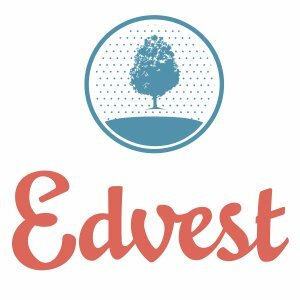 How Do I Withdraw Money from the Edvest Wisconsin 529 Plan? You can request a withdrawal online by visiting your account. The distribution will be sent to your bank account on file via Automated Clearing House (ACH). You can also download a withdrawal form and mail it in. Tomorrow’s Scholar 529 Plan is an advisor-guided, tax-advantaged college savings plan. Unlike its direct-sold counterpart, you open this account through a financial advisor who can help you build a customized savings plan based on your individual situation and needs. As a 529 college savings plan, it shares similar features and you’d enjoy the same tax benefits. But because you’d be getting the guidance of a professional financial advisor, the overall price tag of investing in this plan could be higher. If you seek this kind of approach to investing in your child's future, however, this plan may be right for you. How Do I Enroll in Wisconsin's Advisor-sold 529 Plan? Find a financial advisor who would guide you through the enrollment process, investment selection and ongoing portfolio monitoring. Your advisor should be able to discuss the appropriate investment options for you as well as a personalized savings roadmap based on your unique situation. How Much Does Wisconsin’s Advisor-Sold 529 Plan Cost? Portfolio underlying fund expenses that currently range from about 0.07% to 1.01% (0.00% for TIAA-CREF Principal Protection portfolio). Some fees depend on which fee structure or share class you choose for your portfolio. Fee structures can get quite complex when it comes to advisor-sold plans, and the ultimate sticker price ultimately depends on the investment option and share class. So speak to your financial advisor about which investment option is right for you based on your individual situation. And don’t forget to ask your financial advisor questions, especially about all fees involved. You should also ask which certifications and qualifications he or she has. Registered Investment Advisors (RIAs), for example, don’t typically work off commissions. An advisor’s compensation or business model can significantly affect what your ultimate savings will look like. The Tomorrow's Scholar 529 Plan offers the same tax benefits as the Edvest direct-sold 529 plan. The earnings on your contributions grow tax-deferred, and your withdrawals will be tax free as long as you use the funds on qualified higher education expenses. Nonqualified withdrawals would also remain subject to federal income tax and a 10% penalty. With the help of your financial advisor, you can build an investment strategy based on your particular needs and goals. You can choose to invest in one or several individual portfolios that include different asset classes from stocks and bonds to alternative ones like real estate and principal-protection options. You can also invest in a risk-based portfolio. Each of these options gears its asset-allocation to be based on different risk factors spanning from ultra conservative to aggressive. If you want a more hands-off approach, you may be interested in an age-based portfolio. These options automatically change their asset allocation to become less risky and more conservative as your child gets closer to college age. How Do I Withdraw Money from Wisconsin’s Advisor-Guided 529 Plan? You can request a withdrawal online by visiting your account or by contacting your financial advisor. If you’re not sure how to go about seeking one, you can use our SmartAdvisor tool, which asks you simple questions in order find advisors in your area who could best meet your needs. It narrows advisors down to three. You can then read their profiles to learn more about them, interview them on the phone or in person and choose whom to work with in the future. This allows you to find a good fit while we do most of the hard work for you. You do not have to live in Wisconsin to invest in its 529 plan. Take a look at these other states' 529 plans.